This is a guest post from Diane Parks at TemplateMonster offering my readers these Premium WordPress business themes. WordPress is one of the most popular content management systems on the Internet. It has several advantages that make people all around the world choose it for their blogs and web sites. First of all, WordPress is free, its user friendly and it can be used to create and edit any kind of site or blog. On the basis of this CMS (content management system), you can create your personal blog or page, build a business or a designer studio web site. Probably anything you can imagine! If you are a fan of WordPress and are looking for nice WordPress themes for your future company web site – or if you are thinking about redesigning your business site – then this guest post may be really useful! 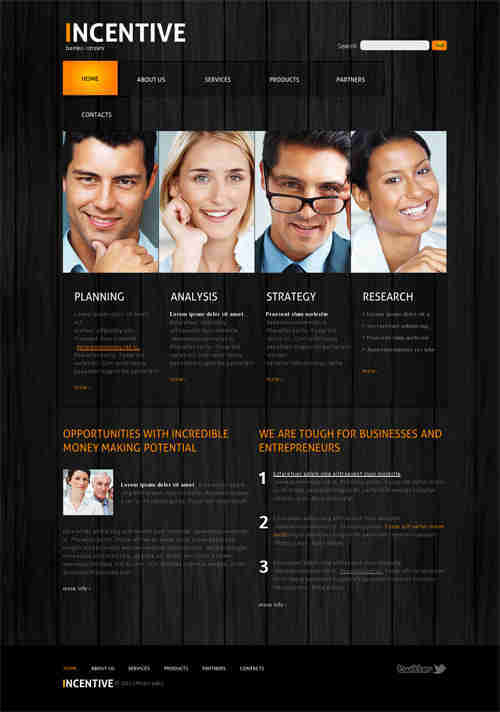 Here we’d like to suggest ten professional and stylish WordPress themes for business. 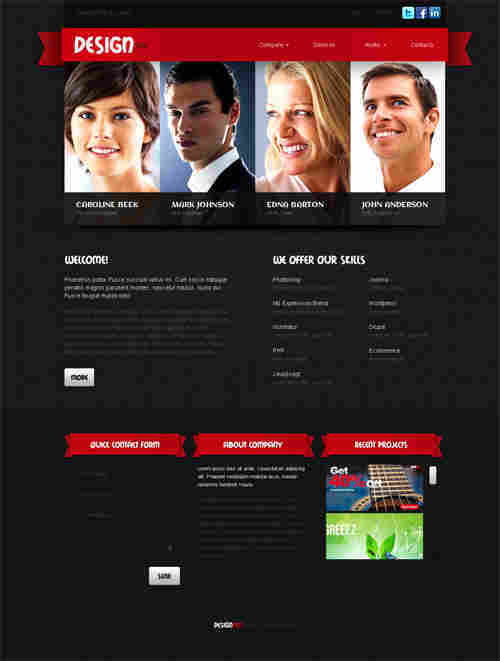 This theme gives you a nice opportunity to show your company faces. With the help of jQuery your visitors can zoom the photos they see on the main page. Nice combination of white, green and light blue colors make this template look fresh and clear. Here you can see jQuerly carousel with photos. ABC colored blocks for step-by-step strategy of your company. Very stylish, no excess of photos or elements. Optimistic and energetic orange color is quite suitable in this template. Original Slider will attract your visitors’ attention. Professional-looking template for any company. Unconventional WordPress site solution with big background photo. If you like these examples please see other WordPress templates at Template Monster web site and you will find the one you need! After seeing the examples in this post I had a look at the TemplateMonster site, and I was very impressed. I bought a new theme only last week from another provider, but I will be building more sites so I’ll be looking for additional themes in the future. When I next go shopping for a theme I’ll definitely be stopping by TemplateMonster. The themes look amazing. I’ve seen people work on WordPress blogs and can understand how user friendly wordpress is and the best thing is one can experiment for free before moving on to a paid one. I’m sure a lot of bloggers are already experimenting with these themes. Started blogging for a start up company and didn’t realize themes like this were available. For visibility, essentially the display is like a retail display. My question is How often does the display need to be changed out or does it have an ability to update via the traffic routing? Thanks. These themes look nice. Are these one off themes built on top of WordPress or are you using a theme framework like Genesis? I’ve found that themes built on a framework are easier to extend. This is because in order to build a theme framework the developer has to think through how sub-themes would hook into it. I’m looking for a new theme and these are some great recommendations. No doubt I’ll use one of them. 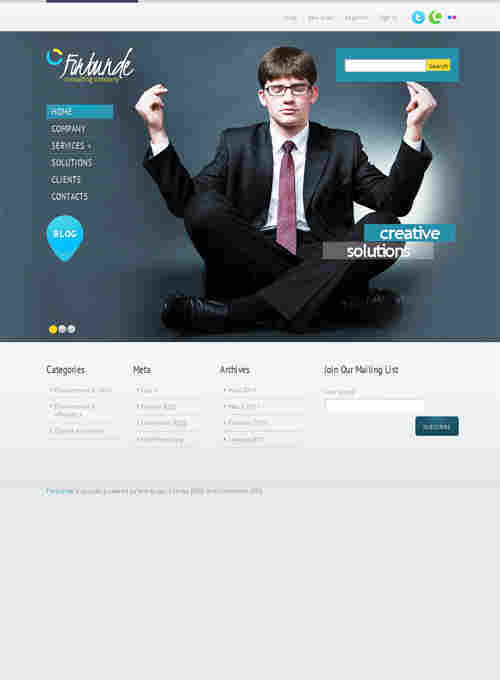 Great themes offered for wordpress. I’ve been using wordpress for years now i think its just amazing. The difference is that it comes with updates as the days unfolds. Any user of wordpress will tell you the same story. thanks for allowing ùme share this. Hi there. It’s a nice information there. I was looking for new themes to be installed on my new blog on WordPress. Thanks to you! That’s what i am looking for right now – the right CMS for a new site or a blog. Thanks for sharing the themes. I think I am able to choose what I need. fantastic collection. agree with you that WordPress is one of the most popular content management systems on the Internet. Kwenda WordPress Theme is very interesting to me. 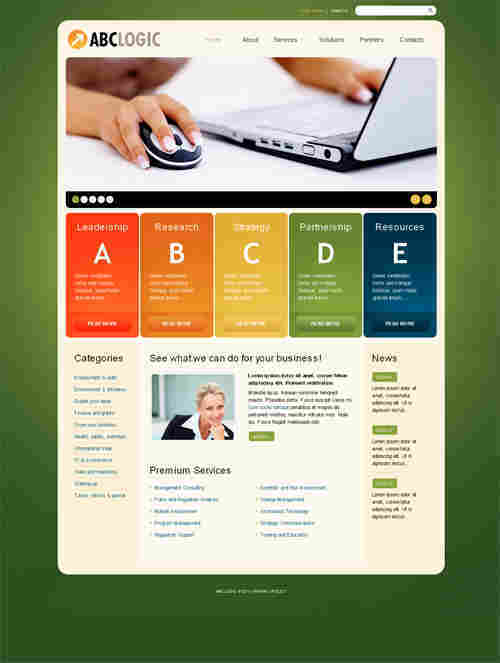 These are excellent wordpress themes.These all are SEO optimized. I am a huge fan of wordpress because of the ease of use and the great SEO benefits with so many plugins. I like some of the themes here so I will take a look as I am currently in need of a new theme for a client. 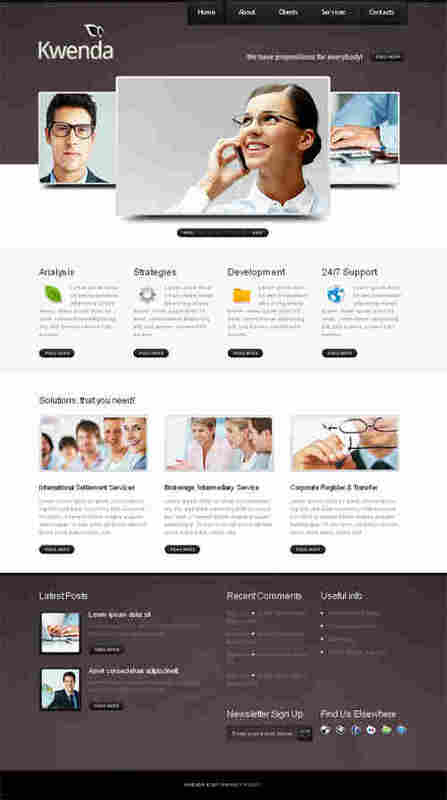 I have used several templates from templatemonster.com for my clients and they mostly welcome the design and the usability of the templates which are easy to manage and to work with. 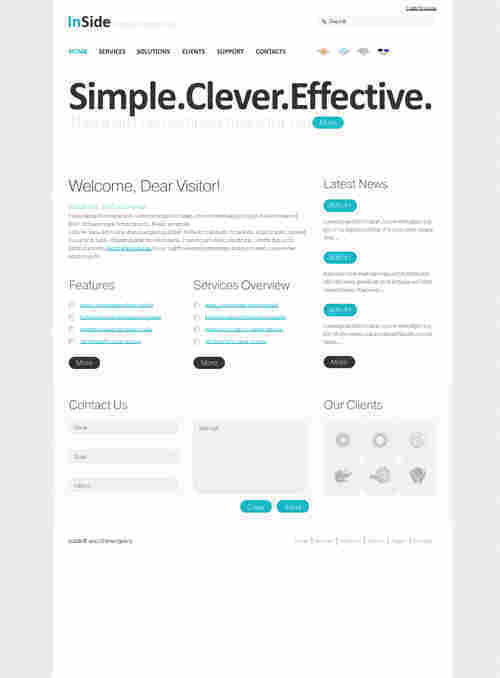 Like the layout of the ABClogic WordPress Theme. Very logical and sequential way to browse. Love the ones with jQuery slide, it’s a nice feature for a company. TemplateMonster appears to have a lot of professional business oriented themes, i’ll take a closer look at them in about a month, i have a new project in mind. These are some good looking theme…I see they put a lot of hard work in making these people friendly. 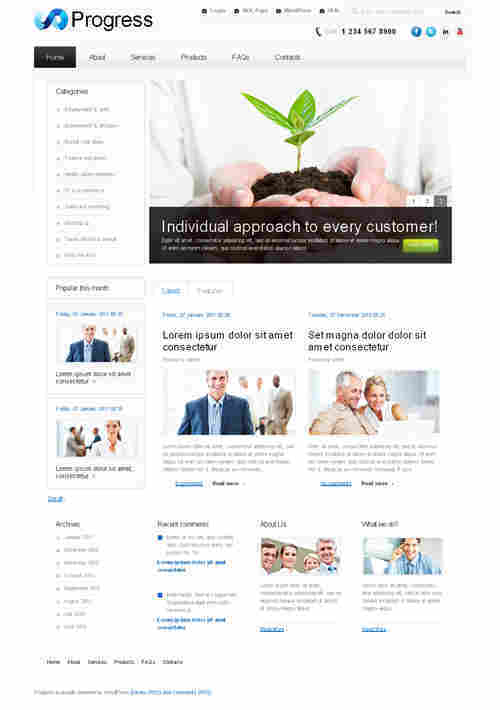 I lke the Kwenda WordPress Theme. great post, tnx! What a bunch of great recommendations! I agree with Donna Anderson that Ovignon has a great color scheme… but I might be a little biased since orange is my favorite color. Vericon strikes me as very well organized. These themes are pretty nice. I’m using flexibility theme which is great but I’m always willing to try something better. Presentation is a big factor for me and I’ve seen how it makes a tremendous difference. I like Ovignon the best. Looks good and crisp and happy. And orange is a good color for putting your readers in a sunny mood. Nice. I always like to see what’s new in WP themes.